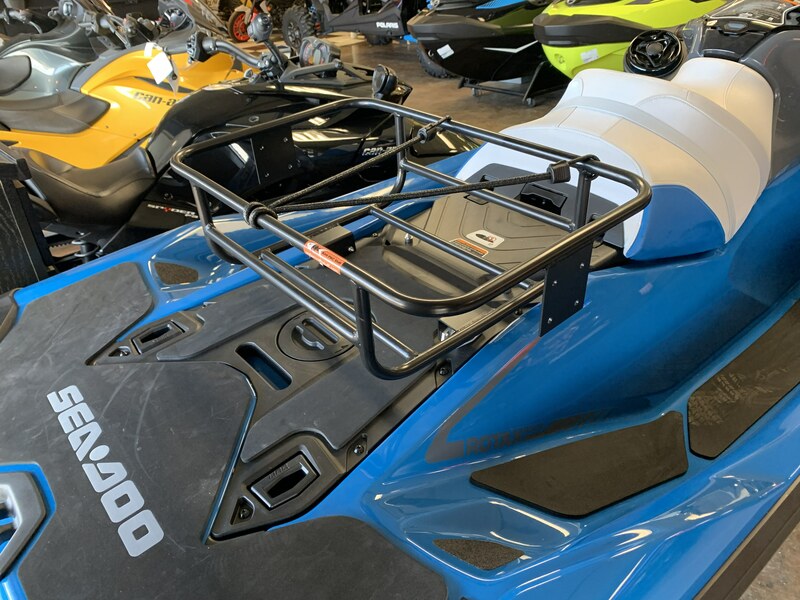 Jet Ski Cooler Rack specially designed for the SeaDoo LinQ system. Our cooler racks are made of marine grade stainless steel then powder-coated for great looks and extra protection against the harshest environments. 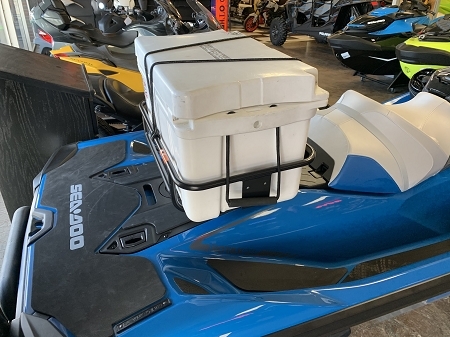 The cooler rack can fit up to 54-60 Quart cooler and a Yeti 45 cooler to maximize your refreshments. We also added gas plates on the side to carry an extra 7 gallons of fuel using the Rotopax fuel tanks.